Work for Adobe Export PDF? Learning about Adobe Export PDF? "Definitely a useful tool for every office. " It makes it easy to convert files into Word documents. I used to have to do it online and it was always a hassle but now my job pays for it. It makes all the difference. I don't like that there's a limit on how big the file can be in order to be converted. It only happened to me once, but it was a bit annoying. Also, there's some restrictions on some files that couldn't be converted, like if they could not be printed or copied. Although I guess for some of those it makes sense. I think you will find it useful and efficient. I hated having to use an online software to convert files. I do feel like it's a bit pricey for me to purchase for at-home use. However, at work it makes all the difference and it's very easy/fast. Adobe Export PDF is an Adobe Document Cloud service that allows you to reuse valuable content stored in PDF files. Instead of writing the information again, I use Adobe Export PDF to convert PDF files to editable Word, Excel and RTF documents. I can access Adobe Export PDF through a web browser, Adobe Acrobat Reader desktop software or a mobile device. Adobe Export PDF converts PDF files whose content is in the following western languages: German, Danish, Spanish, Finnish, French, Dutch, English, Italian, Japanese, Norwegian, Brazilian Portuguese and Swedish. At Adobe, security procedures are highly integrated into our internal culture and software development, as well as service operations processes. Regardless of whether it is related to identity management, data confidentiality or document integrity, Adobe Document Cloud uses innovative security procedures to protect your documents, data and personally identifiable information to the fullest. There is a maximum size limit for PDF files that I can convert with Adobe Export PDF, it only supports the conversion of PDF files of up to 100 MB. The file that is loaded for conversion is not available to be processed again. • PDF files generated in Adobe Illustrator. Adobe Export PDF can not overwrite an open file. To convert a PDF document a second time, you have to make sure that the file has a different name. I LOVE ADOBE EXPORT PDF, BECAUSE I CAN CONVERT MY FILES AND TAKE THEM TO ANOTHER FORMAT. I RECOMMEND 100%. Adobe Export PDF is an online service of Adobe Document Cloud. With it I have been able to easily convert PDF files into Word, Excel, PowerPoint and RTF documents. The annual subscription has allowed me to convert an unlimited number of PDF files to Word, Excel and Rich Text Format (RTF). I like that Adobe PDF is easy to use. Very commercial friendly, easy, and compadable. For example: when needing to send/save a file if it is not heavy it easy uploads and is not blurry it’s very clear. I think that when needing to send a large file for free in PDF form this should be accessible. I noticed it’s not...I recently had to send a large file and in email it would not let me send because the max file size for a PDF is 25MB. When I went to downsize the file by the version of adobe acrobat it would let me send but the file was still too large! This needs to be looked into further for us designers and graffics who highly use this program. User friendly but be careful of large heavy files as they will still be an issue. It’s getting better, you can signature sign through here which I find awesome. More to the times and fast. Instead of having to personally sign a piece of paper and then scan it in to be sent to someone. You have this which is still your signature just digital. "I love Adobe Export PDF!" For years it was virtually impossible to utilize Word and Adobe together, but now Office has added this feature, and I can easily create a document in Word, and export it to an Adobe PDF file for my clients. Fantastic! There is really not much I don't like about it, except it's not always 100% accurate. Close, but not 100%, all of the time. Exporting a .doc file to a .pdf file was a terrifying experience with the other software. Adobe PDF Exporter capability has made the process easy and painless! Where do I begin? I work a lot with government documents, and they require the ability for one to utilize, create, manipulate pdf files. Exporting Word and other Office files to Adobe pdf files has cut down on all the hassle I used to have to go through, to create a pdf file! I really like the convenience of this online service. It uses cloud-based services and enables you to convert any PDF into a Word document or Excel spreadsheet. In addition, I have needed help with a few things, and their online support system replied very quickly. Also, I recently found out they even have a mobile app for this that makes it even more accessible! The only thing that I do not like about this program is that in order to convert a PDF into a PowerPoint slideshow, you must download a separate piece of the Adobe Export PDF package. I would say there is absolutely no reason not to use this service. It makes converting to and from PDF seamless, and they are very easy to get into contact with for any help. This service from Adobe greatly increases efficiency because it allows the user to easily convert from PDF to Word/Excel and then back instead of having to create entirely new documents. This is especially great when you are coming down to the wire of a deadline/project/presentation. "I can export files to pdf formats in an easy and practical way"
This application has a very good function that is to protect documents with a password function that in previous versions did not have now implemented this security mechanism that is always good to protect documents from intruders.It also allows you to fill and sign the documents with your digital or electronic signature to personalize your documents and give a better presentation to them. It is part of the novelty that brings this software I find it great when sending documents with personal signatures.I can also organize the pages, delete them or extract them to have a better control over the content of the document regarding the organization of the pages. I highly recommend this software to people because it is very popular and famous for its practicality and performance to export documents in PDF format.For this and many more things I highly recommend this software I think it fulfills its function for which it was designed and is on a good path to continue like this and improve every day to stay in the competition of other software that have the same purpose. "The best tool for the conversion of documents and/or files!" It is very easy to use and it is efficient, it allows me to convert PDF files to Word, Excel and RTF documents (rich text format) and vice versa, that is to say from the other formats previously mentioned to PDF, so it facilitates my field of work because instead of writing information again, I only transfer the content and additionally can be viewed on any device, regardless of hardware, software or operating system. While it is true that the PDF format has the ability to reduce the size of files, it still presents some difficulties with files or documents very large or heavy, because it takes too long or slows down. It is very easy to use, is really an essential tool both in the field of work and can also serve students to save and send their files, being the company Adobe generates great confidence and we know that the investment will generate excellent results, I invite you to try it, is very useful, 100% recommended. The benefits are innumerable, since being a very simple tool to use saves you time and facilitates the work, in my particular case in my job I see the need to send via email many documents and to convert them with that software I can send several simultaneous and do not lose or alter the format of them. Sincerely it is very useful. "Great program for PDF to DOC exporting"
Having several PDF files that I've since lost the original documents to, this program is an amazing way to not only export PDFs, but have the files actually export without several errors in formatting. Several other programs I've used to format PDF to doc prior have not been as clean in the conversion. The price. Like most Adobe software, the program isn't exactly cheap and while I appreciate what it has to offer, there are many other sites that offer the same at no cost. If you have enough files that need converting and don't want to have to spend a lot of time editing the files after the conversion, this would be a good program to consider. As mentioned prior, I have several documents from old files that I've lost the original files and now I'm able to export the PDFs and now have no problem editing the documents when need-be. I like that when I export the document to Word it exports exactly the way the PDF document looks without any changes. I dislike when I export the document to Excel that each line come out in one cell versus the export delimiting each break in characters and putting everything together. I can be time consuming to separate the data if I have to export to Excel. I would recommend to look into how to make it easier to export to Excel as the formatting can be a pain. Being able to export from Adobe to Word makes editing flyers or documents alot easier because sometimes I need to do more than edit a word or rearrange data and I can do that a lot easier and have more options in Word. "Adobe Export PDF Achieves Excellent Heights"
The entirety of Adobe Export's ability to convey info, formulate communication and fully facilitate the communications we enjoy in business, today. The transmission ability in some many uses and others I sometimes use as sort of a means of hybrid facilitation as a consultant. Just wish there were varying other vendor's products of the quality of Adobe Export PDF, all other fully function Adobe Cloud services and softwatre to include the full range possible. GET THIS PRODUCT for real results in Adobe Export PDF! Great effort!! Communication, the means to obtain the quick transfer of not merely data, yet the total ease of moving documents, ideas, business decisions, memos, business; itself forward in the remaining search for manpower, output itself and merely conducting transfers efficiently remains our return from Adobe. The data mining, transmission and our needs in artificial intelligence as a consultant far outweigh any real decision not to incorporate Adobe Export PDF in my activities both here and throughout my use of the product, itself. 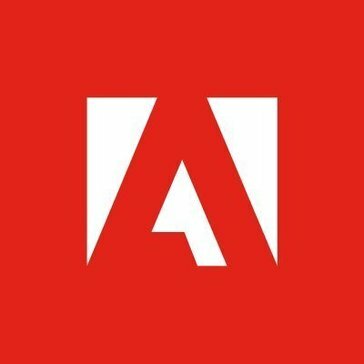 Many values of Adobe to offer up an intelligent, comprehensive application of data ability are, and remain, an aspect of the corporation achieving real heights of excellence, too. Adobe pdf works well for opening and creating pdf documents. It's easy to install and recognized by all programs. It didn't take up too much space on my computer, either. The price was a little expensive which is why we stopped using it. It also didn't let us edit pdfs which was what we wanted to do. Otherwise, it was fine. It is work the money if the money is in your budget. It's a trusted brand for pdf documents and that is definitely worth something. It allowed us to create pdf documents and export them in the same program. Adobe is also a well trusted brand and we trusted it as well. It worked well when we had the program. "Adobe PDF makes working with document easy"
Creating fillable forms in Word and converting forms to PDF format. The benefit is that the documents does not change after the conversion and it serves the purpose that it is designed for. "Great Capabilities for the Price!" I really like the fact that you can convert word documents to PDF and PDFs into word documents without losing any of the formatting. Even when using some of the other Adobe programs to utilize the same functionality I find that I have to go in and reformat the document for spacing and page lineup, etc. Sometimes depending on the length of the document its not even worth it if I have to go in and manually make changes with other programs. I wouldn't say that there is anything that I dislike about the program. Its really straight forward and easy to use. It does what it needs to without being overly complicated. I would say if you use a lot of word docs and PDFs simultaneously that this is a great program to have in your arsenal. We receive a lot of documents and contracts in PDF format that we sometimes need to edit in word. I am also a user of Adobe Sign and Adobe Acrobat, but sometimes when using those programs and converting documents the transition messes with the formatting. Adobe Export PDF maintains the formatting which is a major time saver. "An add-on feature to your life"
You can get it done at one stop-shop, you can convert PDF in word, Rich text format, excel or power point. You have to pay for this feature which I as a user don't like because I can get this same facility for free from other sources though it depends from user to user, One can be a big corporate, for them it's highly recommended to use Adobe in-build file conversion(Export) feature. I often work on Word, Excel and need to get the official and uneditable copy of my documents so I convert it to Pdf file via Adobe Export PDF. The best and most reliable one is ADOBE PDF. The first thing that come to my mind when to convert a any text file. Not free like other PDF version available online. Can be edited if someone is also using the paid version. Online website link can be inserted in Adobe PDF files. "Adobe Export PDF does exactly what it says it will do and nothing more nothing less"
It will export my PDF to either a .docx or a .doc which is very helpful when working with computers with older versions of Microsoft word. It also can do Excel and Powerpoint. Within the excel integration it also allows both the old version of excel worksheets and the new. Nothing. Everything seems to work exactly how it is designed. However, it has some issues with custom fonts and altering the exact formatting of images. It allows me to transfer my PDFs into word documents that I am then able to edit in Microsoft word. Adobe Export makes it easy to view and create PDF files. I can also add and delete pages where I want. It has a bunch of extensions, but getting all of them is expensive and I don't want to pay for those simple things the extensions give you. I often have to combine PDF files into one large file. It is so easy to do this with Adobe. I also have to cut the PDFs into smaller segments and Adobe makes that very easy. "I use this product daily and it helps me be extremely efficent"
Ease of use and ability to share comments and feedback with the team instantly. I love the editing features. It doesn't have all the features on the free version so if you send edits or mark-ups to users that don't have the paid version then they will not see all the edits. So easy to use and makes work SO much more efficient. I think the paid version is an absolute must in order for teams to share feedback with one another with ease. Helps streamline our content creation and allows the team to mark up edits really quickly and effectively. "Easy conversions for sales quotes!" I enjoy the easy interaction and quick converting from Microsoft Word To PDF. Very fast and user friendly across the entire company. I use this for saving docs into pdf so I can save for later or save it into doc center on dentrix! Great program! That I can export my word docs to a pdf doc. I cant think of any negative attributes to this app. I would recommend Adobe Export PDF for anyone who is looking to use an easy to use, easy to follow and generally inexpensive way to turn your word docs into pdf docs. I love it! I can take my word doc and export to pdf, and file w/ the courts. I liked how easy it is to use as a new user. It is very convenient when I need to export into a PDF. There are a lot of settings for editing in this also. It is hard to load up sometimes. It could be the WiFi but sometimes the document is hard to fully show itself after uploading it. I think this software is really organized and helps you export documents when you need it to PDF and there’s a lot of settings if you want to change things. I’ve learned a lot from getting organized and being able to keep track of all the different subjects. I realized that it can help me find things fast and also edit things much more smoothly. "Adobe is a great tool to use!" Adobe is a great tool to use! When exporting the PDF, it is a seamless, quick and easy process. Everything is laid out beautifully. "Not sure I like it"
I like that the evolution of Adobe and Adobe export has come a long way from how it used to be before. There are a lot more functions and abilities now, and I like that we can not only export the pdf to a word document, but other types as well. I dislike that without the premium package that you pay for, you essentially can't do anything with your document, almost at all. I am solving document editing and presentation. A benefit I have realized is that different softwares allow for different kinds of editing, which is allowed when using Adobe export. This tool has been used in my organization to convert PDF into word and excel. Its is a very fast and easy tool to work. We have used this tool in our office and found that there is nothing to be dislike. I would recommend to use this tool very frequently as this has been used to convert PDF documents into word or excel formats. I have used this tool in my project work and it is simple and easy tool to convert PDF files into editable formats. This tool has been used to convert generated invoice into word or excel. "Adobe Export PDF and Real Estate"
We use this program to open and convert our publisher files to PDFs. We like that it allows us to do the conversions. There is nothing that we dislike about Adobe Export PDF. Business problems we're solving is being able to expand our resources and use a program some other may not have access to. "Great software, fairly easy to use"
Adobe is easy to use once you learn the basics. It combines many files types and you are able to sign your documents and export them. Can't combine excel docs with the other documents. It's a great product and I would recommend it to other users for it's capabilities. Combine email docs for upload. Prepare documents for sending to other clients. "Exporting Pdfs is the best way to share important files"
I am able to take almost any file format and flatten it into a PDF file that nearly anyone in the world can open. Sometimes the file size is still too large to email depending on the size of the original file I'm flattening. Sharing images and text documents with peers and colleagues, and patrons. This is very simple and easy tool. I have used this software in my organization. It is very easy to convert PDF into word or excel. It provide online cloud service for adobe documents. In my view there is nothing to be dislike in this software. I would recommend to use this software as it is very simple and easy to use and convert PDF. I have used this software in my project to convert PDF into word or excel which sometimes very important to make our task easier. I use it constantly, every day. It never fails, or crashes on me when I am preparing PDFs to print to repographic companies or on the office printer. I have no complaints about the way Adobe Export PDF performs. It is an essential tool that always works smoothly with my design programs. I needed a pdf converter and this app does the job for that. Nothing really. I use this application in order to convert .doc files to pdf. If you need a software that converts pdf files into a more editable version use this application. It can convert pdf files into word or excel files! What's more is that it costs just 2 dollars a month. Converts unlimited amounts of pdf files into word or excel files. Mainly useful when you're trying to edit a pdf file further without downloading another software that edits the pdf file itself. I really enjoy the options of this product and the ease of use. I have not found anything that i dislike. It's very important product in the retail business. I do not think i have yet to have any issue with the program. "Nice tool to convert PDF"
This tool is very easy and reliable. I have used this tool so many times to convert PDF documents into word or excel. I have seen that there are no discrepancies and issues after using this tool. I would highly recommend to use this tool as it is a simple tool to convert PDF documents into other editable formats. I have used this tool to convert PDF documents into word or excel or other supportable formats. The fact that you are able to do this! I remember not being able to when I was younger and it was frustrating. I particularly enjoy the exporting to Word! At first I had trouble figuring how to use it but now I got it! Not really anything I dislike! Don’t miss out! Great tool to take advantage of! I really enjoy how Adobe is compatible with all types of computers (Mac, PC), it makes it that much easier to share documents. There is actually nothing that I dislike about adobe, it’s fairly easy to use! At my place of work we use Adobe to access all types of exam formats that professors send to us, and then we are able to access them and print them off for the students. "Adobe Export PDF is a staple"
Adobe Export PDF is a staple. I love the ease. Adobe Export PDF is great. No problems with it. I use it all the time to send flat or interactive files to clients. I like most how professional the visual looks when the document is exported. I also like that it cannot be edited by others. I dislike the complexity of adding a signature, and it’s difficult to type in the document before you save if it has blanks for a document. I am solving business problem of getting a job. The benefits is the professional format. I like the easy installation process of it. There really isn't anything I can truly say I dislike about the software. Totally recommended. Just make sure your computers system is compatible. We use it in the office in order to not have to keep retyping forms & it works like a charm for small detail changes like names and addresses etc. Adobe export is great for converting pdf to Word or Excel which is very important in the work field. I honestly don’t have anything bad to say about the program. It does what it is supposed to do. Being able to convert the PDF allows us to expand upon the data and cater to those that may not have Adobe. The ease of use is fantastic for when you need this tool. I've never had any problem the few times I've used this. I highly recommend using this product if it suits your purposes. The uses I've had for this regarding business include the need for multiple types of documentation in a secure unalterable form primarily. The ablity to edit documents previously unable to edit. There are some contracts we need to edit and this program allowed us. Adobe is a quick and easy tool to use. I can also turn a screen into a PDF/Adobe file. Nothing really, other than not being able to edit. Adobe is quick, easy and simple. "A good simple software that helps share pdf created by you"
I like that it lets you edit original documents. I have nothing I dislike about this program. Being able to fill out forms sent via email and being able to get it back to someone quickly but also professional. Very speedy download and upload. Editing and formatting options are plentiful. Tabs could be more straight forward and navigation of the application could be improved. I like how I edit the documents that our department needs to manually revise. "Adobe Review for gift card"
Sometimes there can be good or bad things. * We monitor all Adobe Export PDF reviews to prevent fraudulent reviews and keep review quality high. We do not post reviews by company employees or direct competitors. Validated reviews require the user to submit a screenshot of the product containing their user ID, in order to verify a user is an actual user of the product. Hi there! Are you looking to implement a solution like Adobe Export PDF?